A commercial developer and seller of colour reference swatch books and associated support materials. Owned by measurement systems developer X-Rite since 2007. Pantone provides the most widely used references for specifying colours, which are de facto if not actual standards, used worldwide. Most corporate brand colours are specified as Pantone references. The right to use the Pantone colour sets is licensed to other developers for use in design software as colour swatches, or in printer RIPs and drivers as conversion tables. The core to the system are colour reference books, which contain small patches of ‘solid’ colours, with each produced by an individually mixed ink on a specially adapted press. Each colour has a unique reference number. There are 1,867 colours in the current Plus Series. There are also additional sets for metallic and pastel inks. 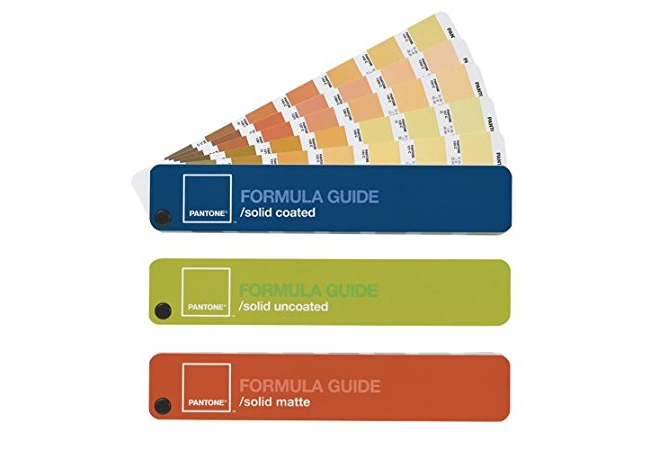 The core is the formula guide for coated and uncoated papers, that gives ink ‘recipes’ to allow every colour to be mixed as a spot colour from 14 base inks that are licensed by Pantone. This works fine for processes that allow spot colours, but process CMYK and extended gamut sets are more economical for many analogue presses, while the only digital process that supports specially mixed inks is HP with the Indigo liquid toner presses. Pantone’s Colour Bridge guide shows all its colours with their nearest equivalent CMYK offset values on coated or non-coated papers.